My buddy Matt Knouff and I were traveling from the U.k. to Mexico last month, and the flight involved a 6 hour layover in Amsterdam airport. I wasn’t over the moon about the layover but I knew that it would be a good to chance to get my head down and do some work before the next leg of the journey. My buddy suggested that we went into an airport lounge to spend our time, rather than waiting in the main airport. I scoffed initially at the 45 Euro fee to get into the KLM lounge, but after some gentle persuasion I decided to go for it. As it turned out, this was a great decision and here is why I would recommend paying for an airport lounge if you have a layover on an upcoming trip. In the airport lounge there is a huge selection food and drink which are complimentary and you can indulge throughout your time there. In terms of drinks there are alcoholic drinks to choose from such as beers, wines and spirits, there are also soft drinks and a range of teas and coffees. In terms of food you will find a broad selection of snacks such as nuts, crisps, olives, ham, cheese and bread selections, you can also find main meals such as chilli con carne and other hearty options like soup. 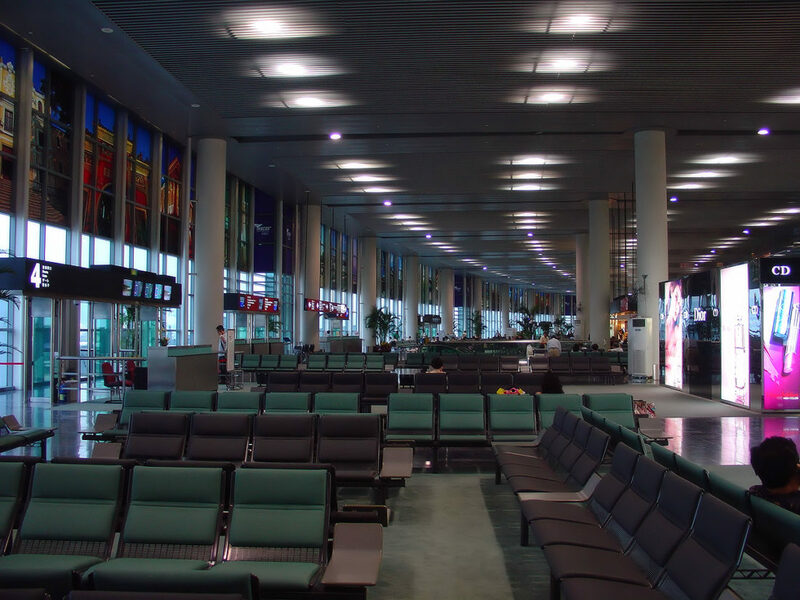 As you well know, the prices of food and drinks inside an airport are often extortionate and if you have a significant layover, you may end up actually saving money in a lounge. I like to use my time in the airport to get some work done where possible but this does present a challenge. Finding somewhere quiet in the airport, with good seating and desk space where you can do some work is not always easy, not to mention the limited wifi that there is. In this lounge in Amsterdam however, they had a small business centre with private booths that had desks and chairs to get some work done. The surroundings were quiet and the wifi was fast and unlimited, the perfect place to get my head down and do some work during my layover. We woke up early for our flight to Amsterdam, and given that we would lose 6 hours with the time zone change when we got to Mexico, I was keen to try to relax before the next leg of my journey. This proved to be the perfect place to do just that thanks to the peace and quiet in the lounge, the comfortable seating, as well as the staff who were on hand to serve us. Travel can be stressful at times but you can remove all of that stress if you book into one of these lounges on your travels. Lounges are available in most airports around the world and I can’t recommend them enough.